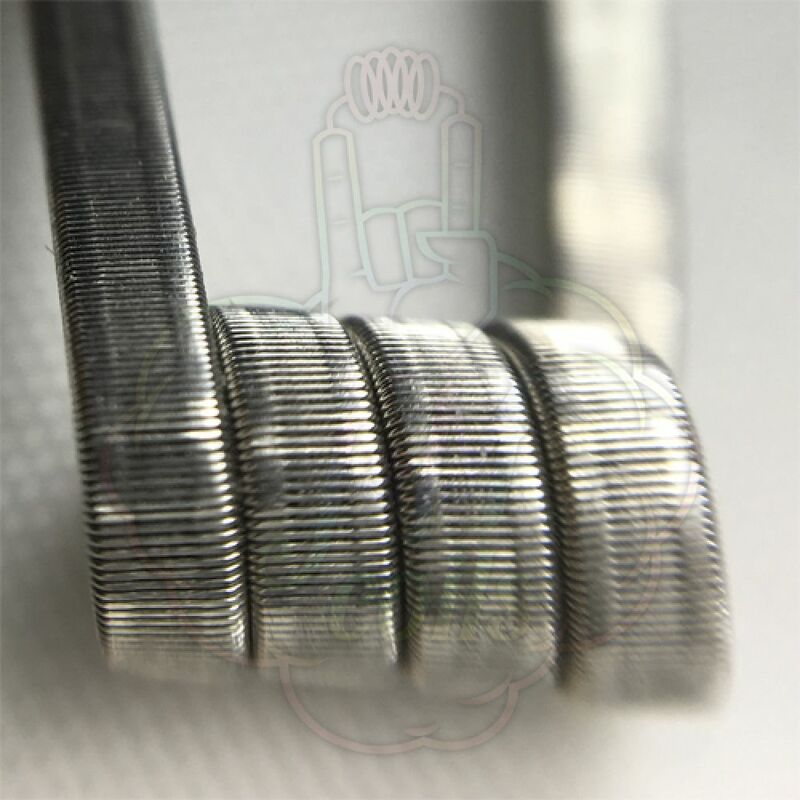 Build that gives more flavour and clouds than Clapton coil. There are two types: 0.20Ω Dual Coil for boxmods and 0.07Ω Dual Coil for single mechmods. 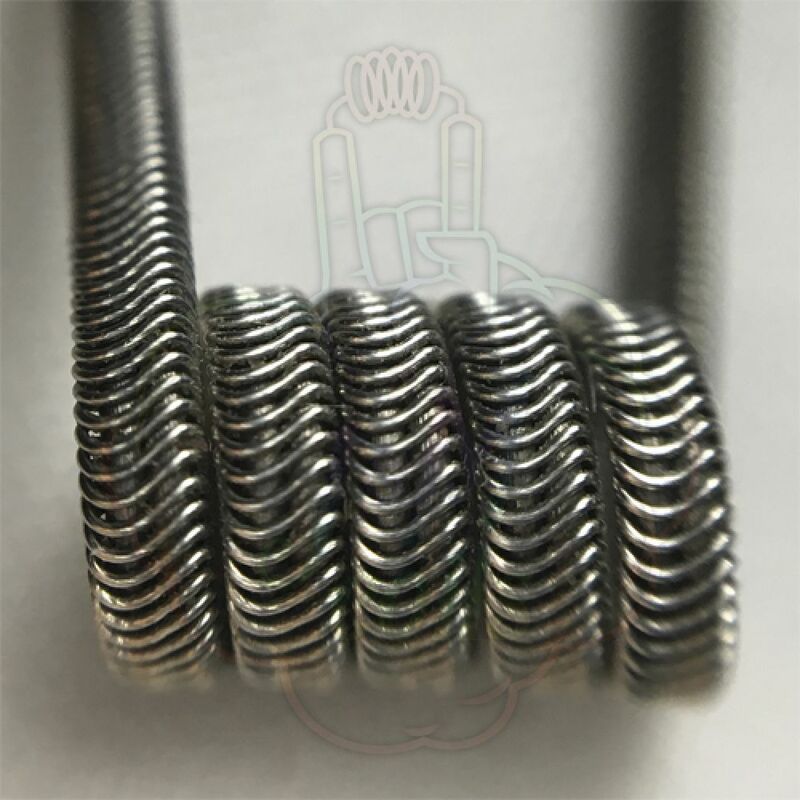 Because of its structure this build gives you an incredible and unique taste. Resistance: 0.18Ω Dual Coil. 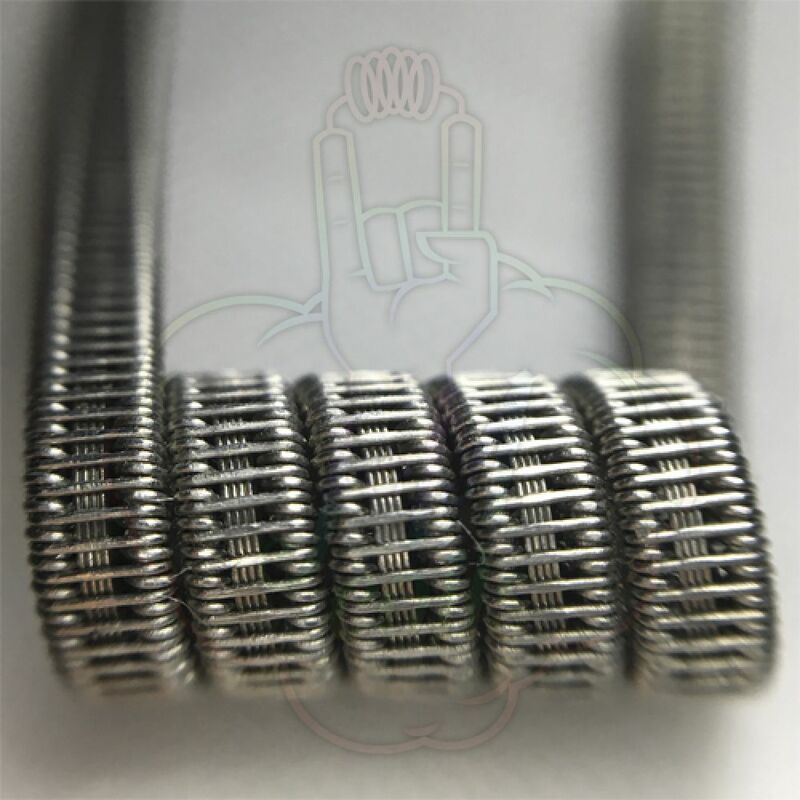 Fast heating coils with the best flavour among fused builds. Resistance: 0.06Ω Dual Coil for single mechmods. This one was made for those who chasing the clouds and despite this loves to feel the taste at its maximum. Thanks to nichrome winding this build is fast-heating and has a short cooldown time. Resistance: 0.04Ω Dual Coil for single mechmods. With this build you'll get a rich flavour in addition to energy saving. 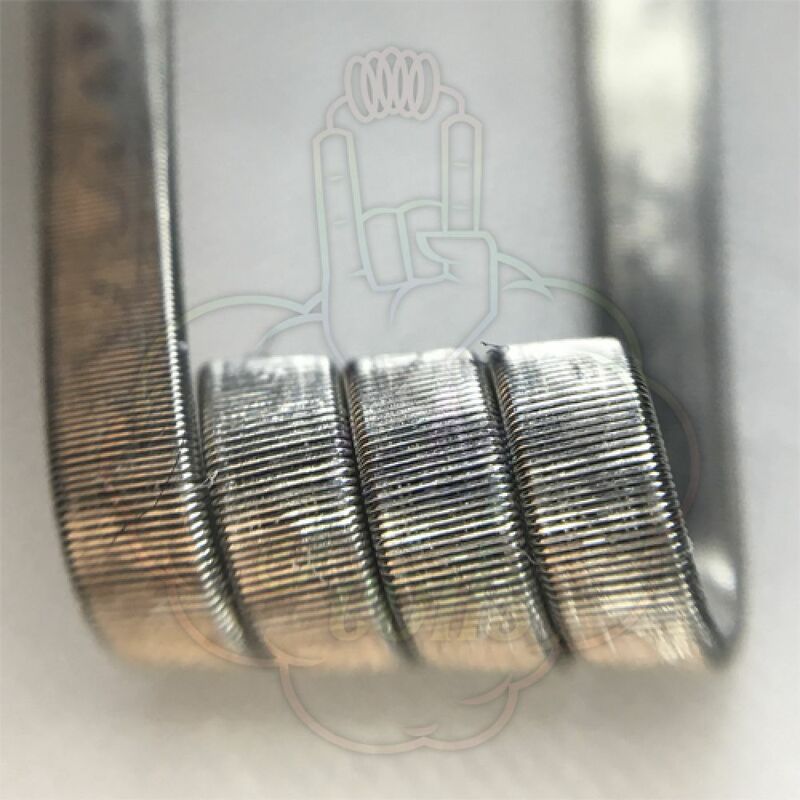 Resistance at 4 wraps [3mm] : 0.07Ω. 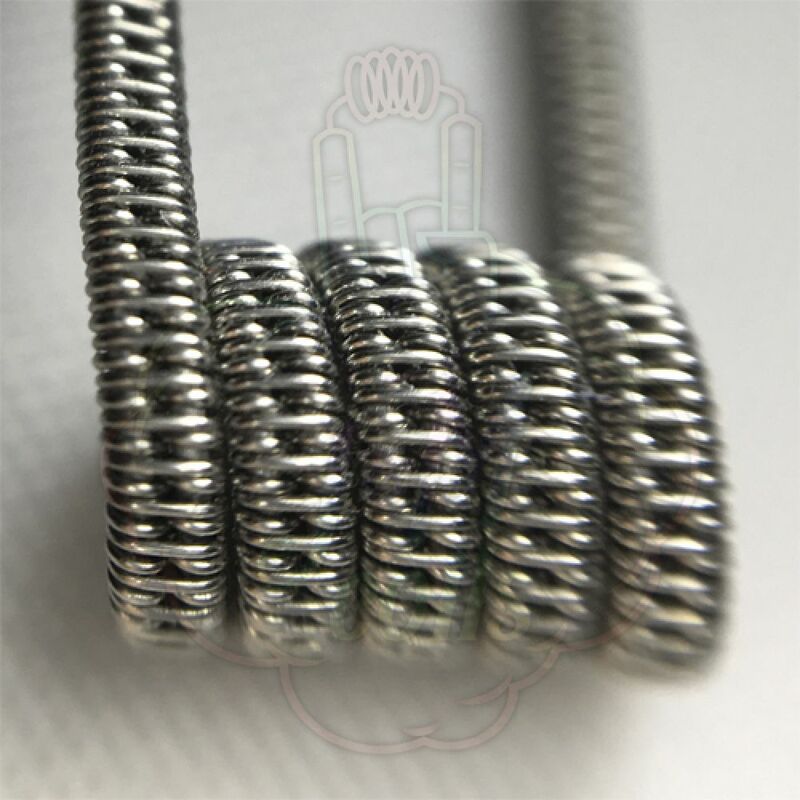 The special weaving of this coil gives you an unique and delightful taste. 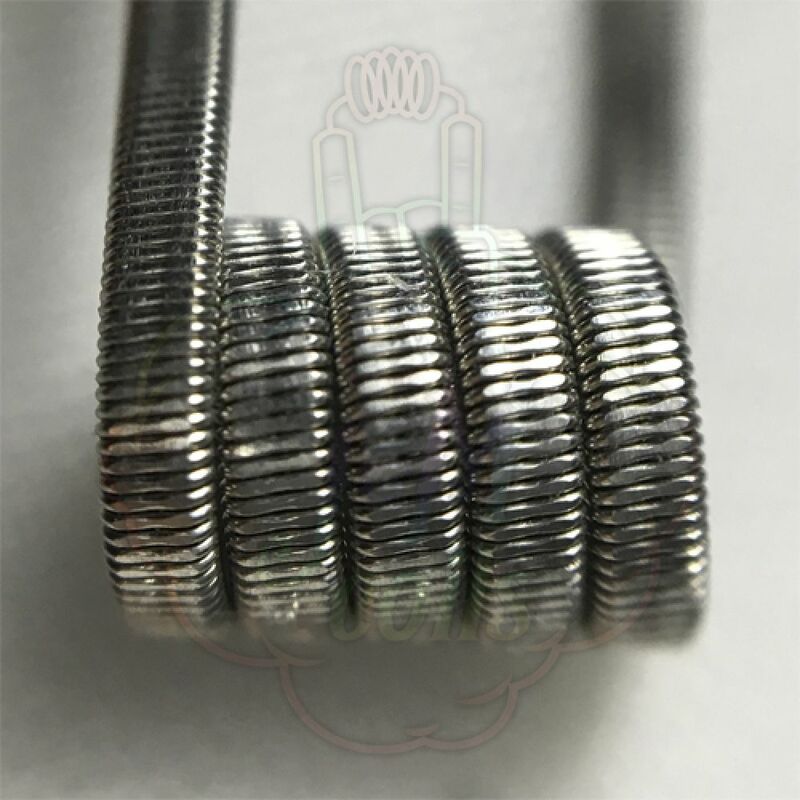 Resistance: 0.13Ω Dual Coil.